Once grown only as an ornamental garden lemon and frequently found only at farmers' markets, the Meyer Lemon has slowly graduated into commercial production. Unlike its two popular counterparts (Eureka and Lisbon), the Meyer Lemon is favored for its mild, sweet, juicy flesh. Although still too tart to eat out-of-hand, Melissa's Meyer Lemons are useful for flavoring both savory and sweet dishes alike. On fish, poultry, vegetables and fruit desserts, use Meyer Lemons as a low calorie seasoning. Or, use the juice as a delicious, fresh alternative to high fat salad dressings and sauces. Meyer Lemon juice retards browning on cut avocados and apples, while vegetables like potatoes, cauliflower and turnips will stay white when cooked in water with a little lemon juice added. 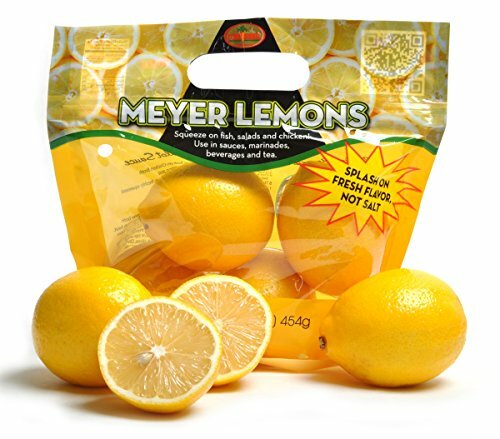 Melissa's Meyer Lemons are hand selected for excellent quality. Skin should be smooth and brightly colored. Choose firm lemons that are heavy for their size. Refrigerate in a plastic bag for up to 10 days or until fruit begins to show signs of age. Rinse thoroughly. Roll on a flat surface while pressing firmly with palm to release juice before cutting. The following prohibit the shipment of any citrus into their state: Arizona, Florida, Georgia, Louisiana, Texas, and Hawaii. If you have any questions about this product by Melissa's Produce, contact us by completing and submitting the form below. If you are looking for a specif part number, please include it with your message.